Silentnight Memory Foam Contour Pillow is rated 3.3 out of 5 by 11. 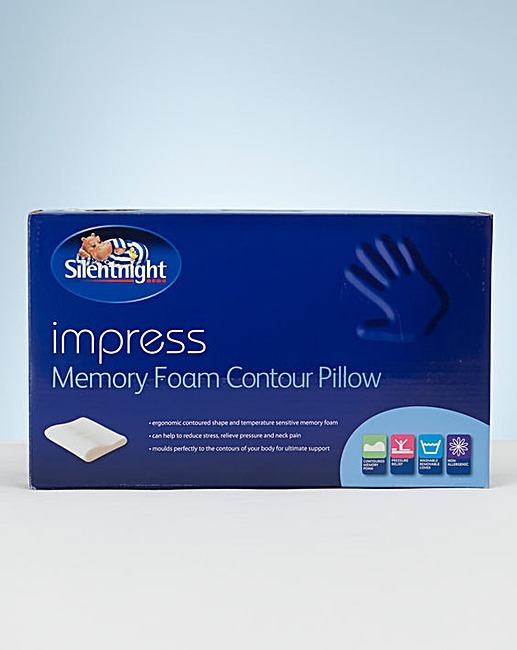 This Silentnight memory foam contour pillow offers comfort and support through moulding contours. Designed just like a conventional pillow, it will bounce back to its plumped shape after use. 1 x Memory Foam Pillow. Measures: 50 x 30cm/19 x 12in approx. Rated 1 out of 5 by Kaz from Would not call it a pillow Tiny, not at all memory foam and no firmness. Felt like a dolls pillow!